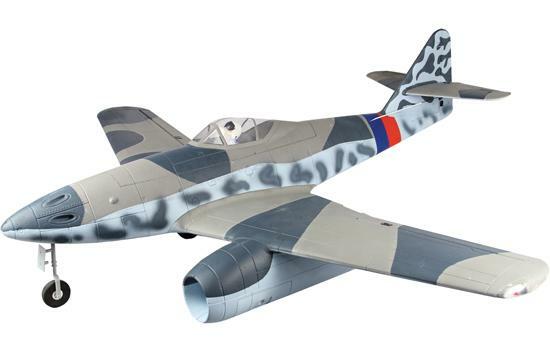 Messerschmitt Me 262 PnP is a EDF Scale RC Jet from Dynam for Medium to Advanced Graded Pilots. The fuselage, The wings, horizontal and vertical stabilizer are constructed by EPOFLEX and painted in scale scheme. Dynam Messerschmitt Me 262 flies fast and agile and comes PnP "Plug & Play" with installed Brushless Motors, 60A Programmable ESC and 3 Electric retracts, Transparent Canopy, main landing-Gear and steerable nose landing-gear, 2 main and one nose wheels, Control-horns, pushrods, links and small accessories.